Military and Army Forklift Parts. 4K, 6K, 10K and 15K Rough Terrain Military Forklift Parts for sale. Air Intake Parts for 6K and 10K Rough Terrain Military Fork Lifts. Air filters and Hoses for MLT6 and RTL10 Army Forklifts. Generators and Alternator Parts for Military Forklifts. Parts for MHE200, MHE202, MHE222, and MHE230 6000 LB Military Forklifts and more. Battery Cables, Terminal Ends, Battery Holders, and Slave Cables for Military Rough Terrain Forklifts. Parts for 4K JG40PT4 / MHE201, 6K FP60-24PS / MHE213, 6K MLT6 Models, 10K Forklifts, and 15K Forklifts and more. Bearings for Military Rough Terrain Forklifts. Parts for 4,000 Pound, 6,000 Pound, 10,000 Pound and 15,000 Pound Forklifts for sale. Belts and Pulleys for 6K MLT6, MLT6CH, MLT6-2 Forklifts, 10K Pettibone MHE199 and MHE215 Forklifts and more. Body Parts for Military Rough Terrain Forklifts. Parts for 6,000 LB Chrysler, Anthony, and Athey models. Parts for 10,000 LB Pettibone-Mulliken Military Forklifts and more. Military Forklift Brake parts for sale online. Brake Expander Tubes, Hydraulic Brake Valves and more. Parts for MHE-200, MHE-202, MHE-222, MHE-230, MHE-199, MHE-215, and more. Parking / Emergency Brake Parts for Military Rough Terrain Forklifts. 6,000 Pound Military Forklift Parts for sale and more. Shift Cables, Engine Stop Cables, Brake Cables and more. 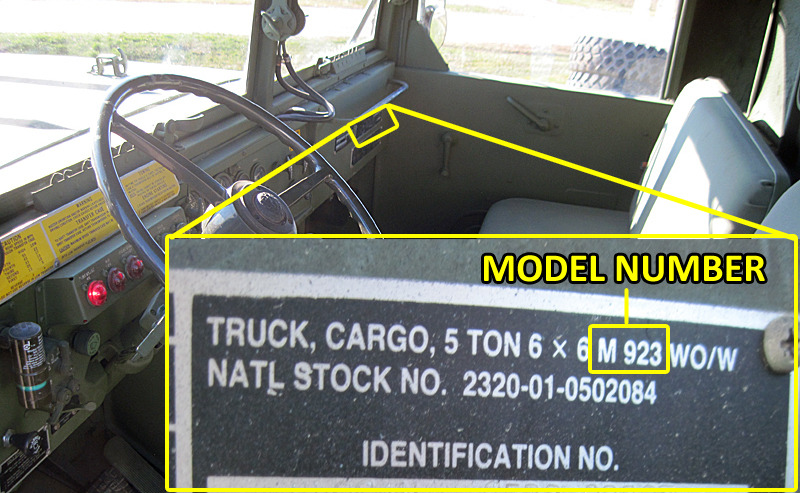 6K and 10K Military Rough Terrain Forklift parts for sale. Engine Coolant Parts for Military Forklifts. Water Pumps, Radiators, Thermostats etc. for Military Diesel Forklifts. Parts for Forklifts with Detroit Diesel 453 and 6V53 Diesel Engines. Driveline Parts for Military Rough Terrain Forklifts. Parts for Army Rough Terrain 6K Chrysler Model Forklifts, Anthony Forklifts, Athey Forklifts and more. Connectors, Plugs, Switches, Solenoids, Lights, Cables, Glow Plugs, Wires and Wiring Parts for Military Fork Lifts. 6K MLT-6 and MLT6-2 Forklift Parts, 10K RTL10 and RTL10-1 Forklift parts for sale, 15K MHE178, MHE223, and M490 Forklift parts and many more. Turbochargers, Blowers, Superchargers, Engine Rebuild Kits and other parts for Military Forklifts. Detroit Diesel Engine Parts 6V-53 and Detroit 4-53 Parts for sale. Forklift Exhaust Pipes, Tailpipes, Mufflers / Exhaust Silencers, Muffler Clamps and more. Military Forklift Parts for sale. Air Intake Filters, Diesel Fuel FIlters / Water Separators, Hydraulic Reservoir Filters and more. Replacement filter elements for Rough Terrain Military Forklifts. Forks, Carriage Parts, Hydraulic Boom / Cylinder Assembly and Parts for 6,000 Pound and 10,000 Pound Military Rough Terrain Forklifts for sale. Fuel Pumps, Fuel Injectors, and other Fuel Parts for Diesel Military Forklifts and Loaders. Military Forklift Gaskets and Gasket Sets. Detroit 453 and 6V53 Gaskets for sale and more. Gages, Switches, Knobs, Indicator Lights and other dash parts. Control and Relay Valves for JG-40PT4 4,000 Pound Forklift, FP60-24PS, MLT-6, and MLT6-CH 6K Military Forklift parts, 10K Miltiary Forklift Parts, and 15K Military Forklift parts for sale. Radiator Coolant Hoses and Air Intake Hoses and Ducts for Rough Terrain Military Forklifts and Military Wheel Loaders. Steering Cylinders, Fork Lift Cylinders, Oscillating Cylinders, Machine Tilt Cylinders, Forklift Hydraulic Boom Assembly and parts. FP60-24PS, MLT6 and MLT6-2 6000 LB Military Forklift Parts. 10,000 LB Military Forklift Hydraulic Boom and Hydraulic Cylinders. Military Forklift Headlights, Taillights, Turn Lights, Directional Lights, Blackout Lights, Marker Lights, Spotlights, Parking Lights, Indicator Lights, Bulb, and Reflectors. Chrysler MLT-6CH, Anthony MLT6, Anthony MLT6-2, Athey ARTFT6, Pettibone RTL-10 Parts and more. Engine Starter Motors for Military Forklifts and Vehicles. Starters for 6,000 LB Rough Terrain Forklifts with 453 Detroit Diesel Engines and 10,000 LB Forklifts with 6V53 Detroit Diesel. Steering Boxes and Columns, Power Steering, Tie Rods, Pitman Steering Arms, Steering Wheels and more. Used and New Surplus parts for 6K MLT-6CH and 10K Rough Terrain Military Forklifts for sale. Rough Terrain Military Forklift Suspension parts. 6K MLT6 Models MHE-200, MHE-202, and MHE-202 Suspension Parts. Transmission Parts for 6K and 10K Rough Terrain Military Forklifts with Allison Transmission and many other forklift models.